We GUARANTEE our courses will meet or exceed your expectations, or you will be FULLY refunded. All of our instructors are certified NRA Firearm Instructors. During the NRA Instructor Training Courses we developed the additional knowledge, skills and techniques needed to organize and teach courses in the NRA Basic Firearm Training Program. Chandler’s LLC is MN BCA Certified Training Organization. All of our instructors are recognized by the BCA of MN as approved instructors. 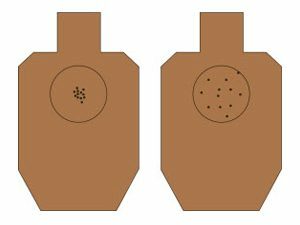 All of our instructors are registered open and concealed instructors, and aim to offer the most effective and professional training available for MN, WI and FL permit holders. Amazing class, so much information delivered in an easy to follow along method. Great class, great instructor. Will be recommending to anyone interested in attending a carry class!! This class rocks, Chris does a awesome job. Down to earth, very informative!!! Amazing instructors and so much fun! I love the all female class. It increased my comfort level tremendously. 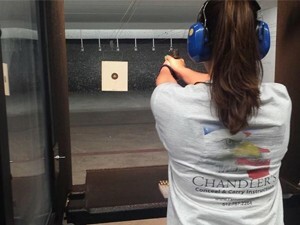 I no longer feel so nervous around handguns and had no idea I could shoot as well as I did. I would highly recommend this class!! Awesome information. I greatly appreciate the knowledge given in the class in such a short time. I learned a lot but still have a lot to learn. I’ve recommended Chandlers to all my friends! Thanks again. It never once got boring. I gained a lot of information that I was previously unaware of. Thanks again. Lisa RohloffMy husband and I took the class together. I will honestly say that I was not looking forward to it. “When I carry a gun, I don’t do so because I am looking for a fight, but because I’m looking to be left alone. The gun at my side means that I cannot be forced, only persuaded. I don’t carry it because I’m afraid, but because it enables me to be unafraid. It doesn’t limit those who would interact with me through reason, only those who would do so by force. 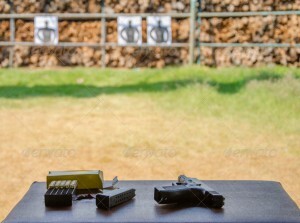 To provide safe, responsible, and professional firearms and carry permit training in a relaxed and fun atmosphere. We strive to provide training suited to meet the needs of every student; regardless of their prior firearms experience or training. We actively promote discussion and student participation during each class, and often take extensive time to guarantee each students’ questions are answered. We GUARANTEE our courses will meet or exceed your expectations, or you will be FULLY refunded. No questions asked!